When families are looking for a Christian school for their students, they expect several important essentials. A stellar academic program, fine arts offerings, strong athletics, and spiritual growth opportunities are anticipated and found in many schools. 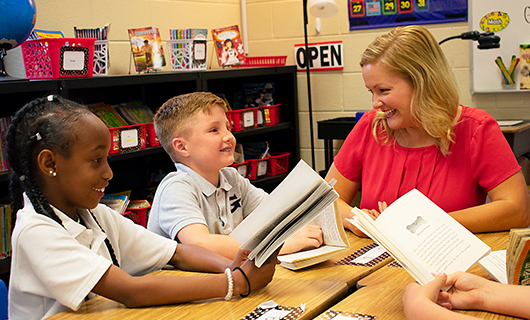 Not only do we offer all of these components that are so critical to a quality Christian education, but you’ll find something different here. At GCA, you’ll find a warm and friendly community. You’ll find a group of faculty, staff, and parents, committed to the same purpose: to see students growing into the individual that God created them to be. You’ll find a sense of family. Why wait? Schedule a tour today or make plans to attend an admissions event on campus. Come discover the GCA difference for yourself. teachers and parents is like a true family." A Few Things You Need to Know! 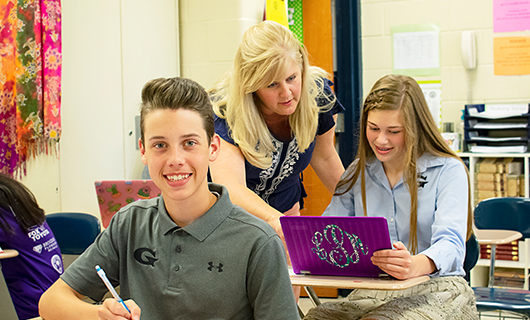 GCA combines a commitment to academic excellence with a Biblical world view. 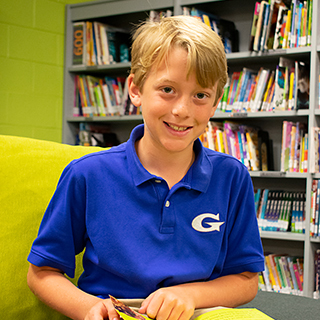 There are currently 850 students enrolled at GCA, representing nearly 50 zip codes. For every 13 students at GCA we have faculty member ready to help them learn & grow!